Unique lock pick design works faster and easier than other pick designs on most locks. 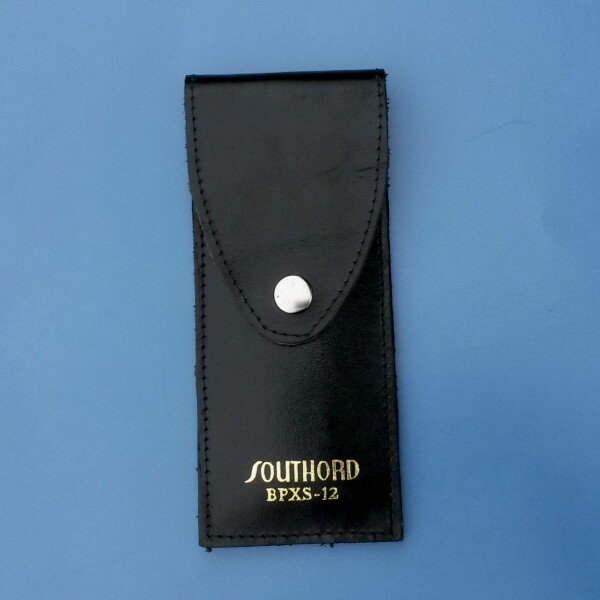 SKU: BPXS-12. Category: Lock Picks. Brands: SouthOrd. Based on a unique design with a reputation for working amazingly well for picking locks. The shape of these unusual picks has been the subject of extensive discussion among the locksport community for a decade. The prevalent theory is that peaks and valley’s of these lock picks is the right dimension to span every other pin in a lock. Lock pins are therefore set in alternating pin stacks. Whatever the reason, these picks do work amazingly well. 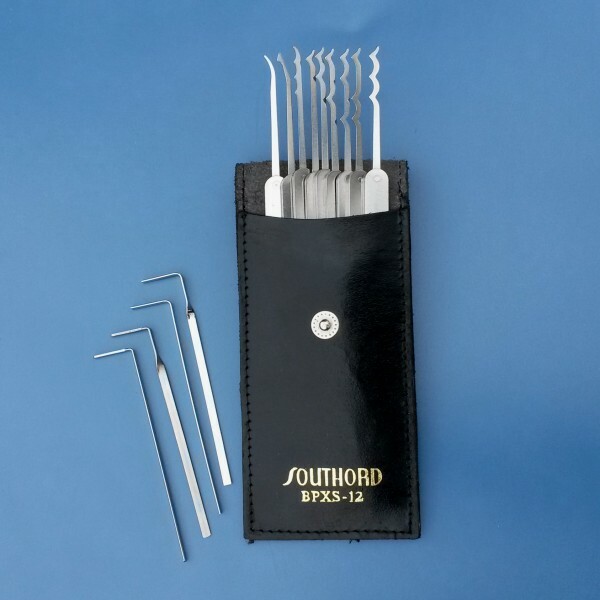 While No lock pick will work in every lock, these lock picks have been some of the fastest and easiest to use that we have ever tried. The reputation of this pick design is not hype, they really do work as well as their reputation suggests. 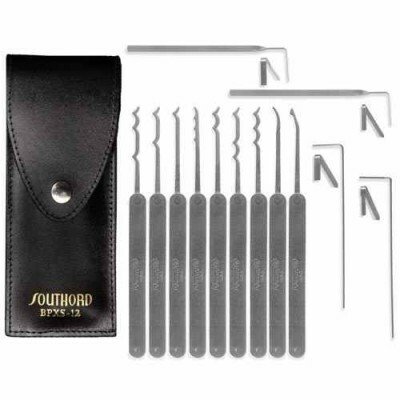 13 piece set includes 7 pagoda style picks with peeks in various positions, one reach style hook pick, one deforest style hook pick, and 4 tension wrenches in a leather case.